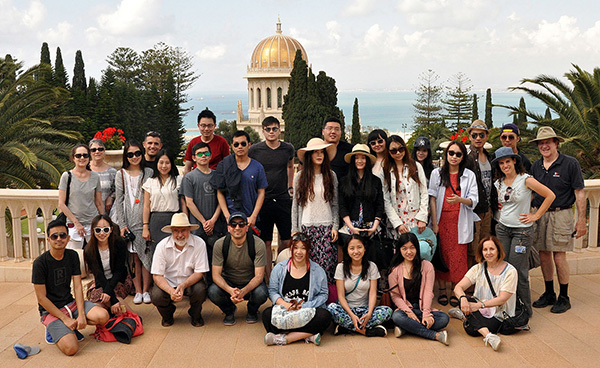 A group of students, faculty and staff at the Bahá'í Temple & Gardens in Haifa, Israel. 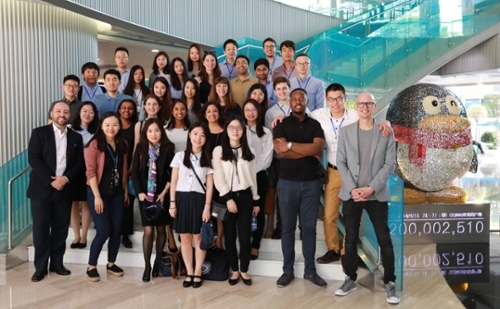 The Hassenfeld Fellow Overseas Immersion Program is an in-country student experience that gives participants an intensive introduction to the business and economy of a dynamic overseas market. This program was established through the generosity of Alan Hassenfeld, co-chair of the Board of Overseers for Brandeis IBS and former Chairman and CEO of Hasbro. 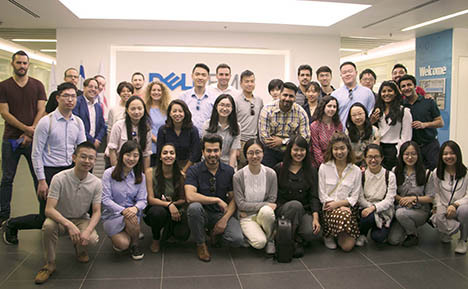 The program immerses students into the inner workings, political dynamics and local business practices of key overseas markets. Understanding the arts, religion, geography and local traditions is essential to understanding how to do business with or in that culture. Brandeis IBS graduate students are selected via a rigorous application process to attend each trip. Students who are selected participate in a half-semester module in the spring semester to gain an understanding of the country they'll be visiting through the lens of the political, social, historical, business and cultural contexts via case studies, presentations and guest lecturers. At the world headquarters of tech giant Tencent in China. The company has interests in everything from social media and gaming to wealth management. Visiting Dell/EMC in Be'er-Sheva, Israel. The data storage company operates several offices throughout Israel. 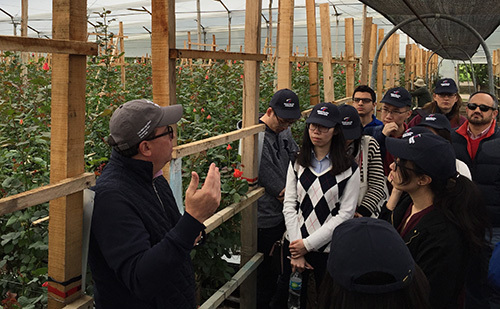 A tour guide leads a group around Esmeralda Tenjo, a rose cultivation plant near Bogota, Colombia.